NorthStar Academy has students in over seventy countries represented in NSA’s student body; 68% of NorthStar students are U.S. citizens; 32% are students who maintain citizenship abroad. NorthStar Academy has been accredited from 2005 on and is one of the first Christian schools to receive their accreditation. NSA is accredited through AdvancED through the regional office of the Southern Association of Colleges and Schools, along with the Association of Christian Schools International. With these accreditations, you would have zero problems transferring credits to other schools or colleges. NSA has on their website a list of 98 colleges that have accepted students that have graduated from their program. That is itself is quite impressive! What can we say about NorthStar Academy’s courses? WOW! We will just add a link to the course page so you can see for yourself. Course page link. You have the basic core courses, although those also go beyond basic. You have lots of electives to choose from, and last, but not least, you have dual enrollment courses available to jump start your college. What else can a student ask for?! You still have the opportunity to Skype, email, or instant message with your teacher throughout the week as always! I believe in the Scriptures, both Old and New Testaments, to be the inspired word of God (Exodus 24:4; Psalms 19:7-10; Luke 24:44; Matthew 5:17-18), without error in the original writings (Deuteronomy 4:1-2), the complete revelation of his will for the salvation of man, and the divine and final authority for all Christian faith, life, and conduct (2 Timothy 3:16; 2 Peter 1:20-21). I believe in one God (John 10:30), creator of all things (Genesis 1:1), infinitely perfect and eternally existing in three persons: Father, Son, and Holy Spirit (Matthew 28:19). I believe that Jesus Christ, without change in his eternal deity (John 10:31-38); Hebrews 1:3), became man through conception of the Holy Spirit and virgin birth (Luke 1:31-35), that he died on a cross (Mark 15:23-26; John 19:16-18), a perfect and complete sacrifice, in our stead and for our sin according to the Scriptures (Hebrews 9:13-15; Ephesians 1:6-7). He arose bodily from the dead and ascended into heaven (1 Corinthians 15:3-4; Acts 1:6-11) where, at the right hand of God, he is now our high priest and advocate (Hebrews 2:16-17). I believe that the ministry of the Holy Spirit is to glorify the Lord Jesus Christ (John 16:13-14) and, during this age, to convict of sin and regenerate the sinner upon belief in Christ (John 16:7-12; Romans 8:9; 1 Corinthians 6:11); at the time of regeneration baptizing the believer into the one body of which Christ is the head (Galatians 3:26-28) and to indwell, guide, instruct, fill, and empower the believer for godly living and service (Romans 8:26-27 & 15:13; Proverbs 3:5-6). I believe that man was directly created by God in his own image Genesis 1:27), but fell into sin (Genesis 3). The entire human race is, therefore, lost and only through repentance (2 Corinthians 7:10), faith in Jesus Christ (Ephesians 2:4-9), and regeneration of the Holy Spirit, can salvation and spiritual life be obtained (Romans 8:13-14). I believe that the atoning death of Jesus Christ and his resurrection provide the only ground of justification and salvation for all who believe (John 14:6; Acts 4:12), and that only such as receive Jesus Christ by personal faith are born of the Holy Spirit and by him sealed to the day of redemption (Ephesians 4:30). I believe in the personal return of the Lord Jesus Christ (2 Timothy 4:1), and that the hope of his appearing has a vital bearing on the personal life and service of the believer (2 Timothy 1:8-10). I believe in the bodily resurrection of all the dead (Romans 8:11), of the believer to everlasting blessedness and joy with the Lord (Romans 4:7-8), and the unbeliever to judgment and everlasting and conscious punishment (Matthew 25:46; Hebrews 10:29). 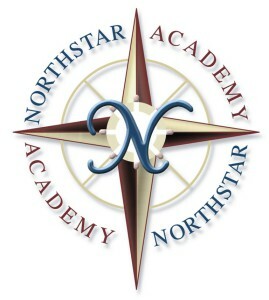 NorthStar Academy has an amazing selection of courses to choose from. You and your student will find everything you would ever need and much, much more in NorthStar Academy’s courses list. No matter what you’re looking for… from Guitar Lessons to Forensic Science, they have it all! Don’t take our word for it, Go to NorthStar Academy’s website through the link below and see for yourself…..